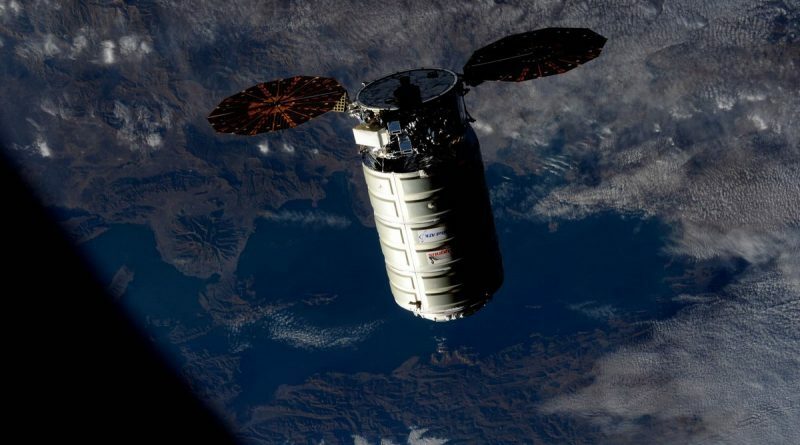 The Orbital ATK Cygnus arrived at the International Space Station on Sunday, being captured by the Station’s robotic arm for berthing to the Station later in the day to kick off a month-long stay to deliver important cargo to the orbiting laboratory. 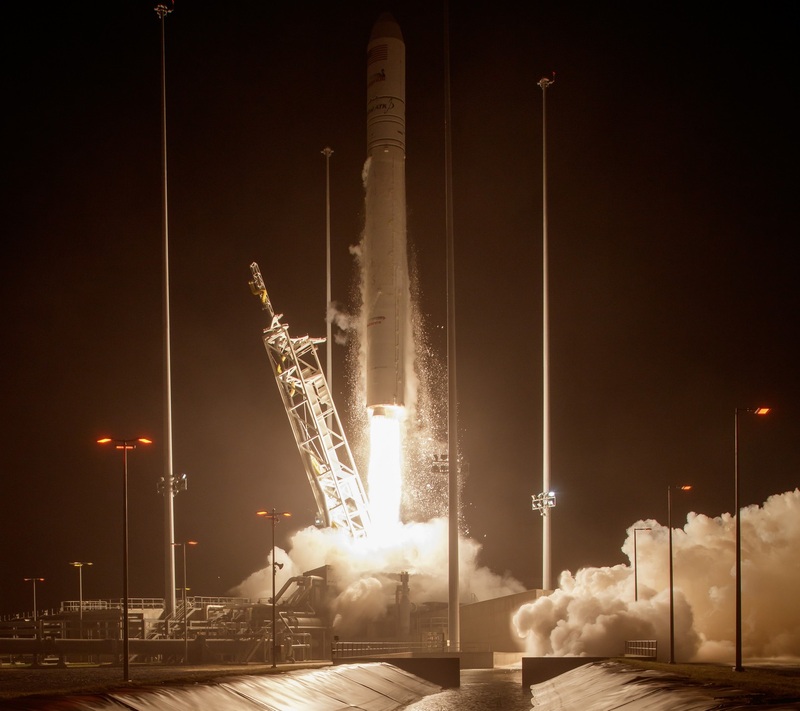 The Cygnus OA-5 mission started with the triumphant return to flight of the Antares launch vehicle after nearly two years following the October 28, 2014 launch failure. Liftoff took place at 23:45 UTC on Monday and Cygnus was looking forward to a nine-minute ride into orbit. Fitted with new engines and firing its larger Castor 30XL for the first time in flight, Antares showed off a better-than-expected-performance and delivered Cygnus to a higher-orbit than planned, allowing it to reach ISS with less propellant expenditure. Cygnus had to take the scenic route to the Space Station to remain clear of the complex for the inbound Soyuz MS-02 spacecraft that launched from Baikonur early on Wednesday and made a successful docking at 9:52 UTC on Friday. Crewed traffic always gets priority over supply runs and therefore Cygnus was required to loiter in orbit to give the right of way to the Soyuz and its three crew members. Arriving in an orbit of 214 by 362 Kilometers, Cygnus fired up its BT-4 main engine for a series of maneuvers, lifting itself to an orbit of 392 by 402 Kilometers where it arrived on Thursday, about seven Kilometers below the Station orbit and trailing the complex by 4,000 Kilometers. In this orbit, Cygnus continued closing in slowly, completing another pair of delta-v burns Saturday morning to enter an orbit 4 Kilometers below that of ISS; trailing by 550 Kilometers. Orbital’s Mission Control Center and Mission Control Houston began integrated operations early on Sunday to mark the start of the final rendezvous sequence for which MCC-H had the overall authority while MCC-Dulles was in charge of monitoring and commanding the Cygnus. Relative navigation was initiated once Cygnus had established a proximity communications link with ISS at a distance of 28 Kilometers; Rendezvous Initiation was completed via a pair of engine burns that put Cygnus into an orbit 1.4 Kilometers below the Station. 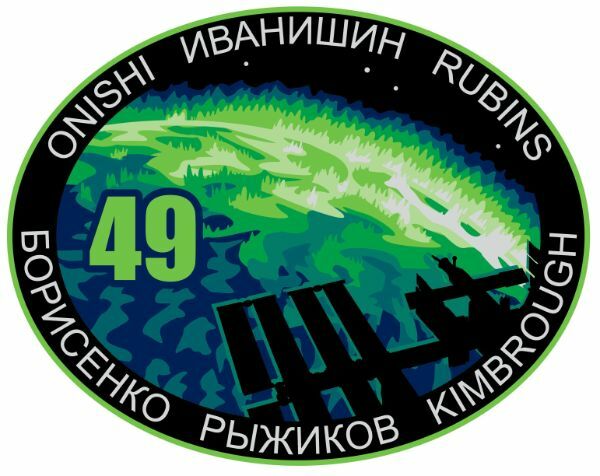 Aboard ISS, the crew readied for the spacecraft’s arrival Sunday morning by powering up the Robotic Arm and the Hardware Command Panel that is used to send commands to the spacecraft and allows the crew to abort the rendezvous in case of any major problems. 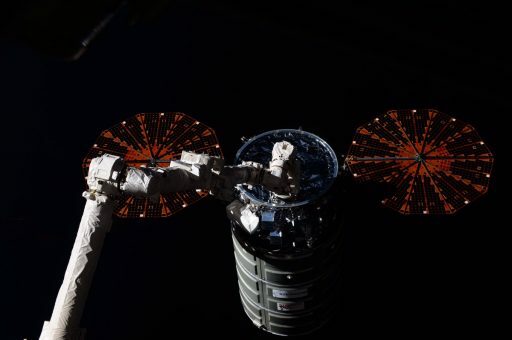 When Cygnus was at a range of 1,000 meters, Astronauts Kate Rubins and Takuya Onishi took their spots in the ISS Cupola with Rubins in charge of approach monitoring and robotics and Onishi responsible for communications and commanding the spacecraft. 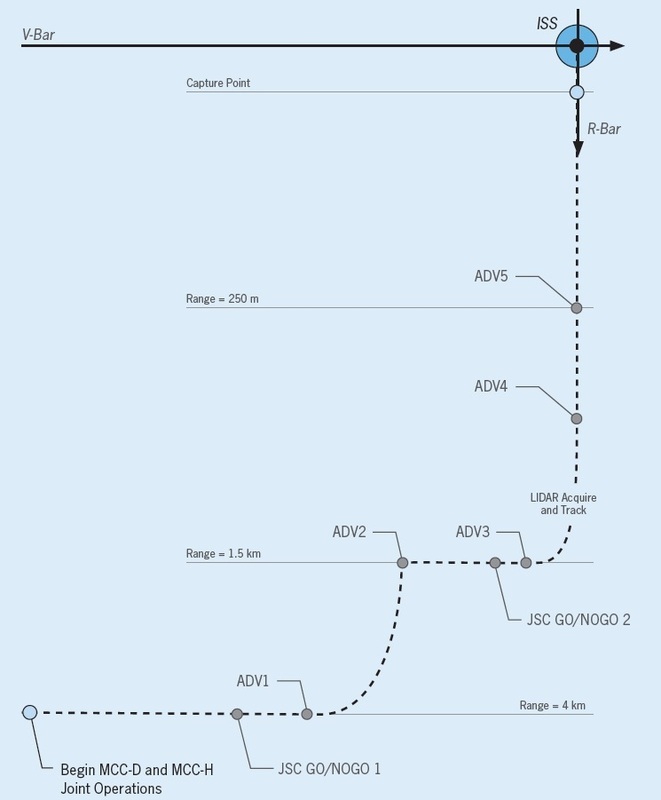 The so-called ADV-3 burn put Cygnus on a course to a point directly below ISS for a straight-up approach on the R-Bar, an imaginary line connecting ISS and the center of the Earth. Arriving on the R-Bar, Cygnus switched to its Tridar navigation system featuring a laser-based 3D sensor that captures 3D data of the target vehicle that is then compared with a computer model of the known shape of the target to deliver relative position, range and range rate measurements to guide the spacecraft to an on-target arrival. Approach Burn #4 marked the start of the R-Bar approach and Cygnus stopped as expected when reaching 250 meters for the first of two planned pauses to give Mission Controllers time to check the performance of the spacecraft and perform the necessary reconfigurations for proximity phase navigation. 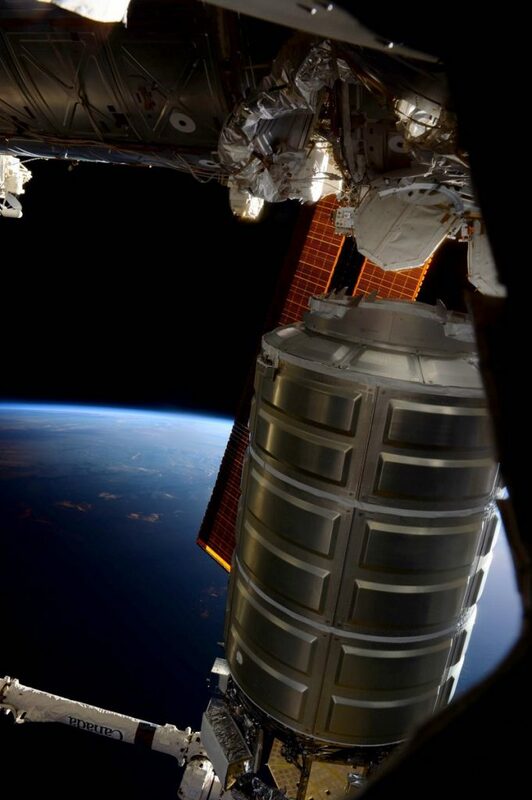 Gently firing its thrusters, Cygnus advanced from 250 to 30 meters, entering the ISS Keep-Out-Sphere where the highest safety standards have to be met by visiting vehicles. Good Tridar navigation was verified at 55 meters and Cygnus stopped at 30 meters to wait for clearance for final approach. During the hold, Mission Control verified rendezvous status while the crew completed the capture briefing, going over the critical procedures for the grappling one last time. 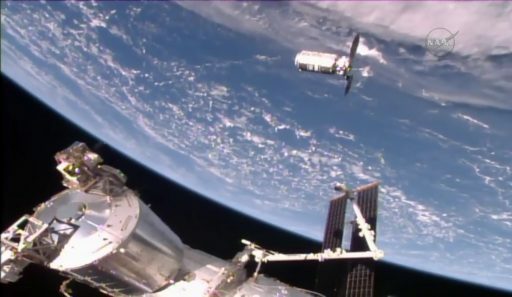 Final approach was commanded 11:07 UTC at and Cygnus very slowly resumed closing in to arrive at its capture point within reach of the Station’s 18-meter long Canadarm2. Upon arriving at the Capture Point, Cygnus nulled out all relative motion to be as still as possible for the capture maneuver, heading into Free Drift when the arm started moving in. Kate Rubins, in control of the SSRMS, used the video feeds from the arm and her out-the-window view to line up the Latching End Effector with the Power and Video Grapple Fixture on the aft end of the Spacecraft. She then moved the end effector over the grapple pin and initiated snares to close and obtain a tight grip of the six-metric-ton spacecraft. 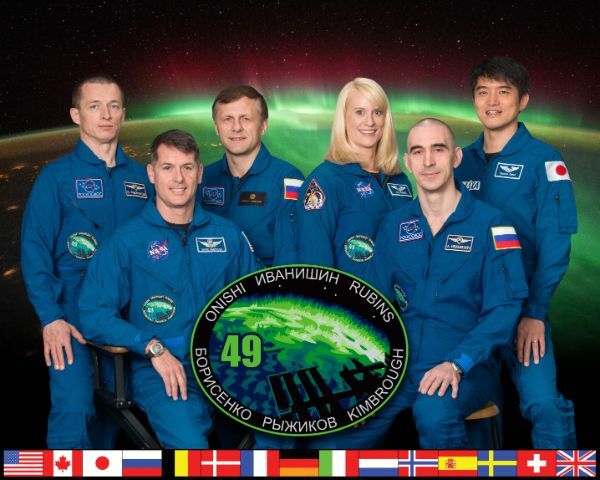 Capture was confirmed at 11:28 UTC while the Space Station was flying 400 Kilometers over Kyrgyzstan. Cygnus OA-5 is the fifth Cygnus spacecraft to arrive at ISS under Orbital ATK’s $1.9 billion Commercial Resupply Services contract . The vehicle has been named the SS Alan Poindexter in honor of the late NASA Astronaut who piloted and commanded a pair of Space Shuttle missions and supported many more from Mission Control in support of the assembly of the Space Station. With a firm grasp of Cygnus, the team in orbit safed the robotic arm and handed duties off to the ROBO team on the ground who spent their Sunday lining up the Cygnus for berthing. First, the arm was moved into the predicted capture position from where a series of pre-programmed maneuvers were executed to swing the spacecraft around into its pre-berth position at a standoff distance to the Unity module to permit a survey of the Common Berthing Mechanism before pressing ahead with the berthing to Node 1 Nadir. Making use of the Centerline Berthing Camera System, ROBO controllers carefully positioned Cygnus with millimeter-accuracy to obtain four Green Ready-to-Latch Indicators at which point four capture latches within the Common Berthing Mechanism were closed to achieve first stage capture. The robotic arm then went into a limp-mode to give Cygnus some wiggle room when being pulled in for the second stage capture. 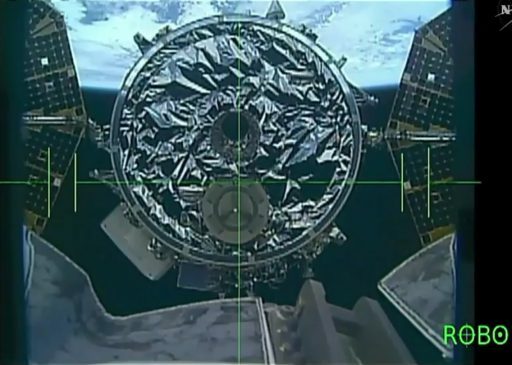 16 bolts were driven in four sets of four to tightly pull together the redundant pressure seals within the Common Berthing Mechanism and hold Cygnus in place for its month-long stay. Each bolt was then be loaded with a specific torque before the crew could press into leak checks. Hatch opening on the Cygnus is not scheduled until later next week, however, depending on the progress of operations on Sunday, it would not be a surprise if the crew elects to put in some extra hours to get the hatches open. Opening the hatch of the Unity module, the three USOS crew members would perform the standard vestibule outfitting by removing covers and four Control Panel Assemblies used to drive the CBM bolts, and putting in place data and power jumpers to integrate Cygnus with ISS Systems. After opening up the hatch to Cygnus, the crew is tasked with an initial inspection wearing protective gear to ensure no floating debris can harm them. 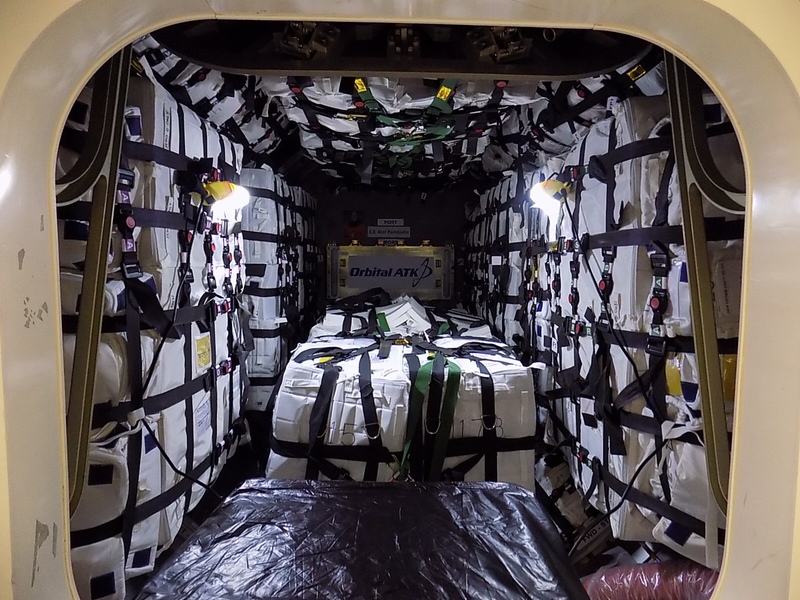 Ventilation systems will be set up before Cygnus can be declared open for business, marking the start of several weeks of cargo transfers. 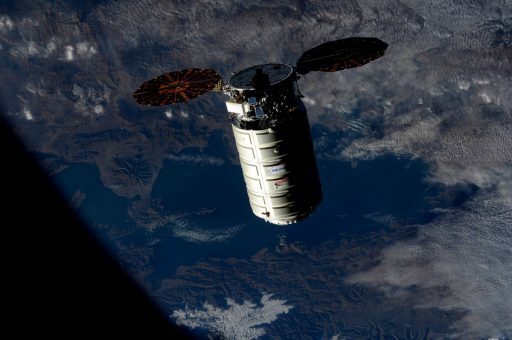 Cygnus OA-5 is delivering 2,350 Kilograms of cargo to the Space Station – 1,023 Kilograms of maintenance equipment and ISS systems hardware, 585kg of crew supplies including food, 498kg of science equipment, 56kg of computer resources, and 42kg of Russian hardware. Science investigations aboard Cygnus OA-5 include the second Spacecraft Fire Experiment (SAFFIRE-II) that will be performed aboard the spacecraft after it departs ISS. SAFFIRE is the first study of large-scale fire progression in space to deliver valuable information for the design of future spacecraft since fire represents one of the biggest risk potentials for human spaceflight missions. SAFFIRE-II features nine smaller samples to examine the flammability of different materials at different thicknesses and their Maximum Oxygen Concentration (MOC) flammability limits. Another fire study delivered by Cygnus is ‘Cool Flames’ that sets out to explore a phenomenon only recently discovered by combustion studies completed aboard ISS. 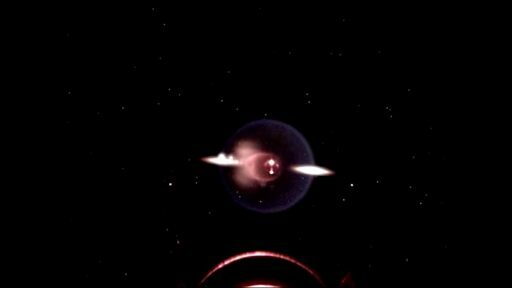 These studies showed that pure fuels exhibit a two-stage combustion process when burned in small droplets in microgravity characterized by a normal hot-burning stage before extinction of the visible flame and a low-temperature combustion setting in. 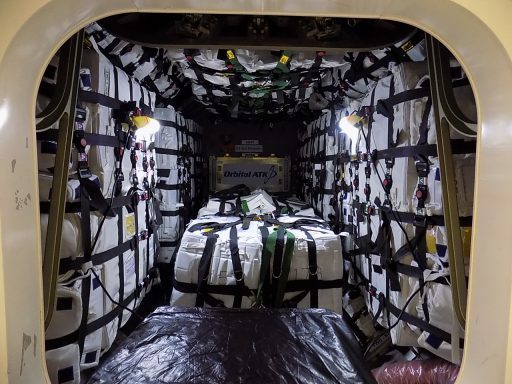 Cygnus also delivers new LED-based lighting fixtures to ISS that will enable the environment aboard the Station to be adjusted to influence the sleep-wake cycles of crew members – a common problem in space with frequent shift changes and busy days. Following the SpaceX mishap in September, the cargo manifest for Cygnus was modified to replace ballast mass (printer paper) with crew supplies and upgraded laptops to protect for the event of a longer stand-down by the Falcon 9 rocket.